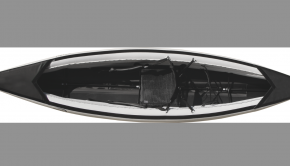 The Narak range, greenland-styled sea kayaks with innovative dynamics, already met success with the Narak 550, two times in a row voted « Best folding kayak of the year » by the readers of Kanu Magazin (2011-2012). The Narak 550 and the two-seater convertible Grand Narak 550 will be followed this year by the shorter Narak 460. The Narak range stick to wood frames build in alpine ash wood with polyurethane or hypalon skins. 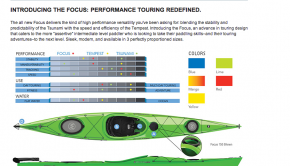 The Narak 460 offers fully customized features from the factory: the customer will be able to choose between 5 deck colours, 3 types of seats and 2 types of hull. 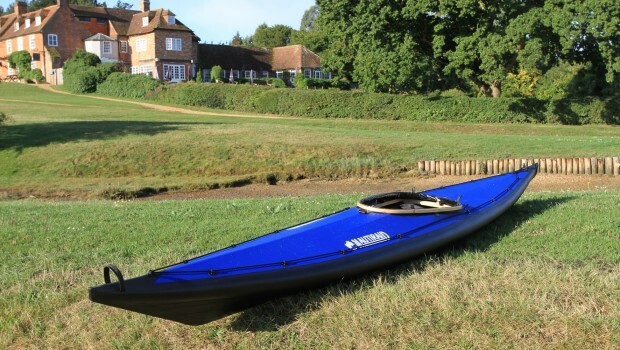 Narak 460 can be ordered with or without Stabilairs®, the outside inflatable sponsons depending of what type of kayaks one wants: stable, multi-day tourer with stabilairs®, more versatile daytourer without. 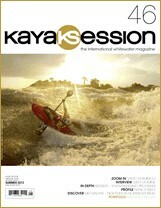 Nautiraid is the oldest kayak manufacturer in France. Established 1936 in Paris, the factory is now located in Vaiges, Mayenne county. 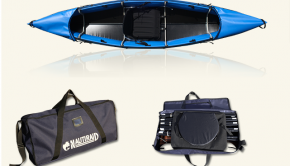 Nautiraid manufactures folding kayaks for the civilian and military markets and all sort of commando and combat divers equipment made in hypalon.